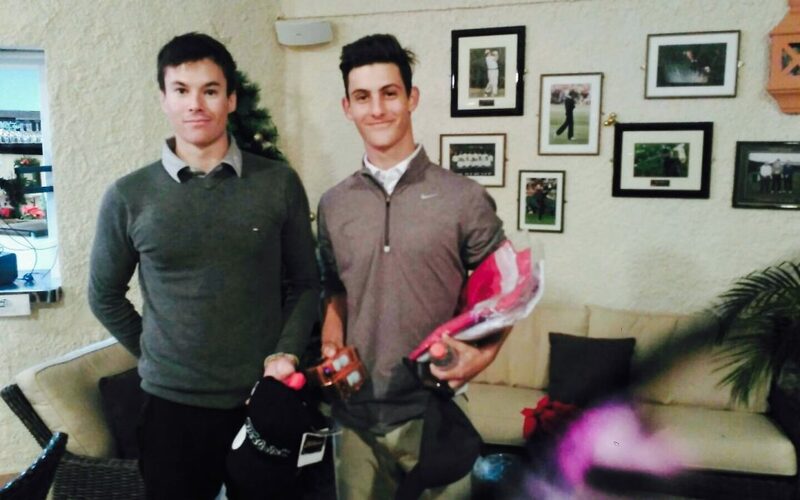 Finishing in second place was Elías Azzam and Juan Muñoz in the third place at the Jason Floyd’s Tournament that took place last 17th of December at the El Paraíso Golf Club, Estepona. Juan finished with an even-par 72, while Elías was ranked second, finishing the tournament with a total of -1. The rest of our players also made a great effort during the whole tournament, finishing it with a total of: Costi +1, Ryan +5 and Manu +8. With the aim of learning from each tournament and to be able to improve their results in the following championships, our UGPM players evaluate their game performance at the end of every tournament together with our team and especially with our sports psychologist Rocío Pomares. Congratulations to Elías and Juan, we encourage you to continue on this gaming path. We are sure that next time All of you will improve even more your scores!